To be a nonprofit hub, providing inclusive, affordable, and equitable space and community development programs to support and strengthen diverse grassroots and non-profit members. A community cultivated by and for everyone. Mutuality: We cultivate relationships, connection and collaboration because of their shared benefits and because together we can withstand individual and shared challenges. Inclusion: We respect and elevate diverse voices, practices and cultures, individual uniqueness and collective wisdom. 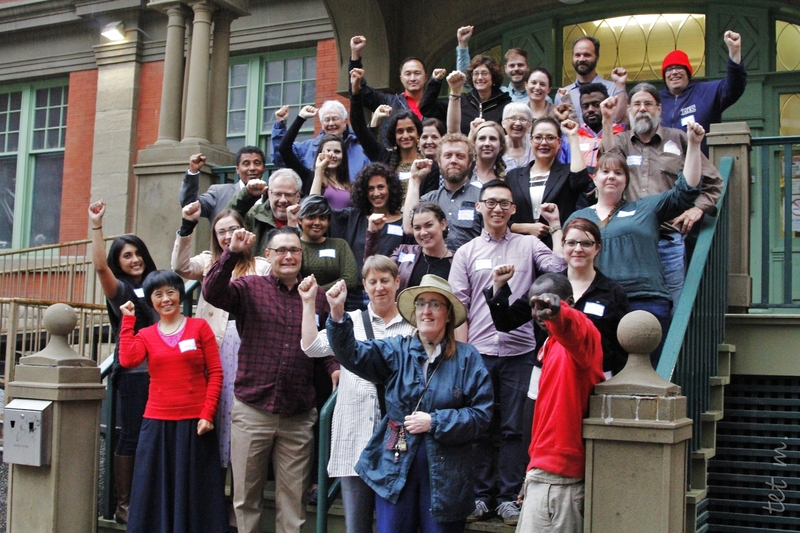 Accountability: We are responsible to our shared space, to each other, to the larger community, and to the planet. Trust: We have confidence in the knowledge, experience, and ability of our members and partners, and actively work to keep their trust in us. Equity: We recognize and redress historical and current-day inequities experienced by certain equity-seeking groups and strive for their barrier-free participation.